How excited are you after Toy Fair? I guarantee you’re not more excited than me. Not necessarily because of the reveals as there were some amazing new toys shown. More so because I consider it the pre-game to con season. As the normal news sources report on all the goings on I long for the rush of being the first to hear the newest of news. What’s funny is I can really relate to tweets of exhaustion and obscene amounts of hard work. While cons may seem so magical to the uninitiated, there is a dark side that stems from attempting to report on all the goodness. Long nights of video and photo editing, frantic troubleshooting of internet connections and for us at least, the want to get out podcasts about what we’re seeing and how we feel about it. Again, it is a lot of fun, but please don’t forget to thank, in one way or another, these outstanding people that go to extraordinary lengths just so we know what we’re going to get to buy for the next 6 months. Speaking of what to buy, WOW there are some great toys coming out in the foreseeable future. Perhaps my favorites are coming exclusively to San Diego Comic-Con. There’s the gigantic Death Star 14-pack of Star Wars Vintage Revenge of the Jedi carded figures. Coming a close second is the first ever official G.I. 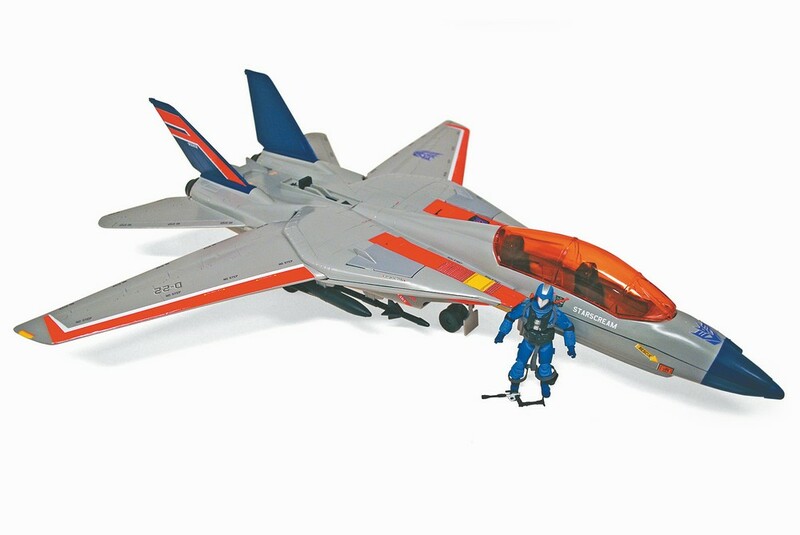 Joe Transformers cross-over Starscream Sky Striker WITH Pilot Cobra Commander and 3.75″ scaled Megatron Walther P38. In addition to “Starscream”, the Joe team showed a modern version of perhaps one of my most favorite 80’s toys, Sci Fi. Not to mention them taking advantage of my weakness for red repaints with the new Crimson H.I.S.S. 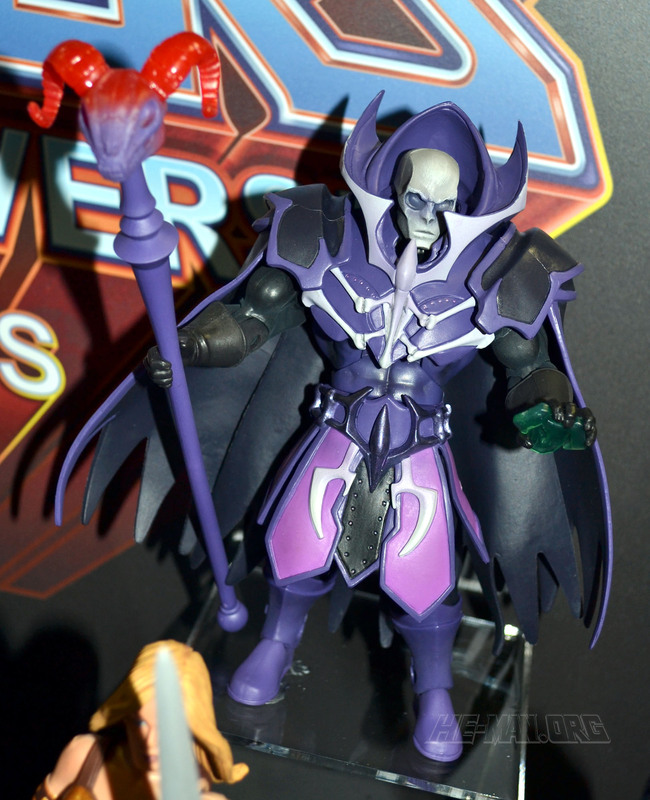 Lastly Mattel continues to rock it out with their MOTUC line out. Their Faceless One, while not faceless still looks amazing and is a great addition for people like me that love obscure characters. You know i think we might see the m.o.t.u toys for the 30th anniversary? Glad to see a lot more smiley faces than frownie faces. I think overall it’s was a good Toy Fair. I feel for you though. It’s nice just know that we’ll be getting all this stuff. It would be frustrating to just know. I guess it makes just that more satisfying when t does show up.